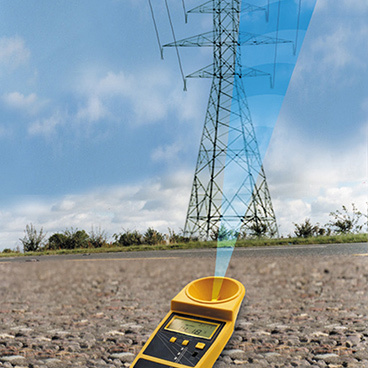 CHM cable height meters are easy to use, handheld devices which use ultrasound to determine the height of up to six overhead cables and wires. They are designed to measure cable sag, overhead clearance and cable heights up to 23 m, with separate products dedicated to the power and telecommunications markets. As a safe alternative to telescopic ranging sticks, there is no physical connection to the cables.